Inspiring Fifty benefits from the time and expertise of individuals and organisations who share the same goals as us. With the help of committed and trusted partners, we are able to reach more female role models in European technology, and ultimately encourage more women to build successful careers in the sector. If you would like to partner with Inspiring Fifty, we would love to hear from you. Please contact us by email to discuss further. The European Commission (EC) is the “Separation of powers” executive body of the European Union responsible for proposing legislation, implementing decisions, upholding the EU treaties and managing the day-to-day business of the EU. Commissioners swear an oath at the European Court of Justice in Luxembourg, pledging to respect the treaties and to be completely independent in carrying out their duties during their mandate. Improve Digital is Europe’s leading independent publisher monetisation technology provider. Committed to increasing revenue for media owners, Improve Digital provides an innovative platform to automate and improve the monetisation of advertising and audience, across all screens, and through all public and private sales channels. The company works with over 250 of the top publishers and media owners across the globe, and through them, supports the marketing efforts of tens of thousands of advertisers. 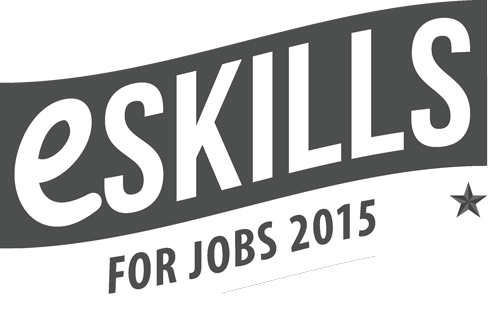 The European Commission has launched the eSkills for Jobs campaign that will take place in 2015 and 2016. The campaign aims to raise awareness of the need for citizens to improve their command of information and communication technology (ICT) skills for work. Skills are essential for professionals working in small to medium size enterprises, for young people and the unemployed looking to enter the workforce. They are also vital for corporations who need a highly-skilled workforce. Founded in 2004, Facebook’s mission is to give people the power to share and make the world more open and connected. At Facebook, we value the impact that every individual can have. We are dedicated to creating an environment where people can be their authentic selves and are deeply committed to building a workplace that reflects a broad range of experience, thought, geography, age, background, gender, sexual orientation, language, culture and many other characteristics. Atomico is an international investment firm, focused on helping the world’s most disruptive technology companies scale and become global leaders. Founded in 2006 by Niklas Zennström, a co-founder of Skype, Atomico has made over 50 investments over four continents, including Skype, Supercell, Klarna, ZocDoc and The Climate Corporation.